I love quick and easy recipes to keep our home going in the morning. I am also a big fan of America’s Test Kitchen. Probably because I am a closet geek. They have a fabulous recipe called “Quick and Easy Cream Biscuits”. Notice the kitchen scale. It’s one of my favorite kitchen tools. It saves LOTS of time and MESS. Just plunk on your bowl and zero the scale and you’re ready to go! Throw in a little vanilla while you’re at it! If you want to make some tea in the meantime, then just pour in the liquids, make some tea, and then come back to fold the batter. 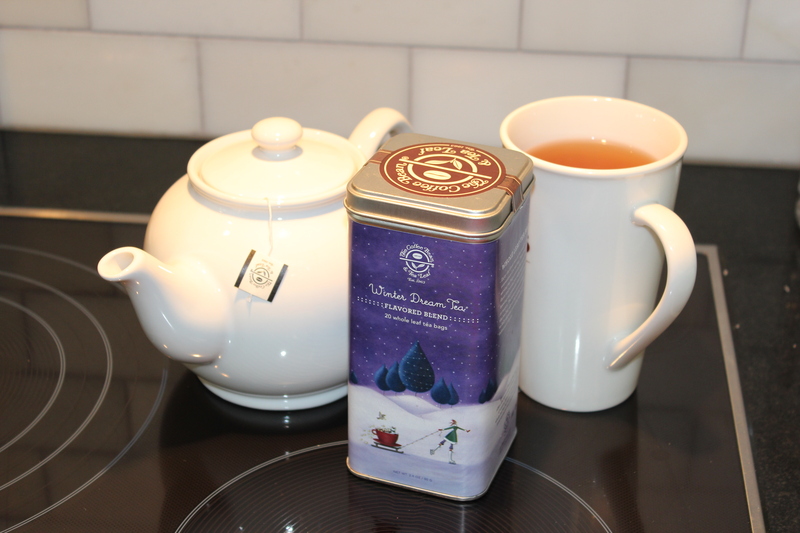 Winter’s Dream from Coffee Bean and Tea Leaf is my favorite winter tea! It makes a whole pot from one sachet. I think waiting a minute somehow helps the flour to absorb the liquid before I stir. Just a few folds with a spatula will incorporate all the liquid. DO NOT OVERMIX! Next, I pull out my trusty “disher” AKA ice cream scooper. 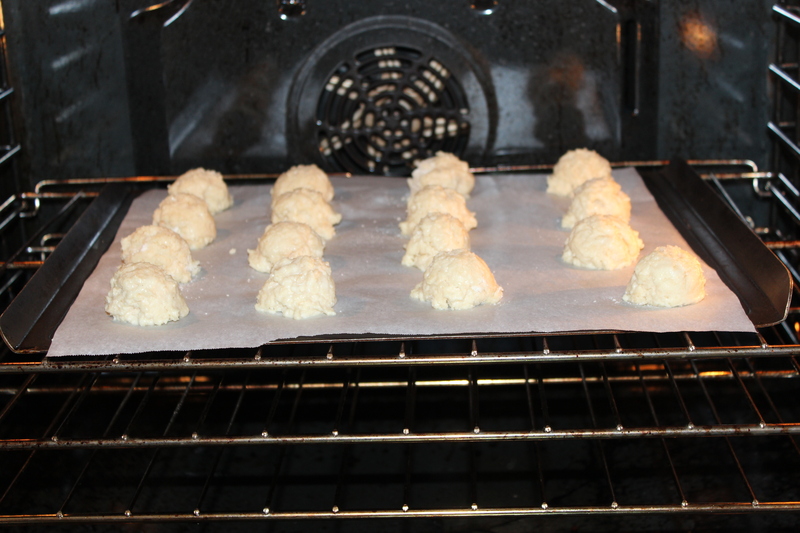 I scoop out the dough onto a parchment-lined cookie sheet and pop it in the oven. After they’re finished baking, my little kids each get a few scones in a plastic bowl in the stroller while we walk to school! They’re as good as real scones with 10% of the work! Measure, then whisk dry ingredients in a bowl until blended. Pour liquid ingredients into the bowl and let sit a minute or two. Using a silicone spatula, fold the liquid and dry ingredients together until fully moistened, about 30 sec. Scoop onto parchment lined baking sheet and bake 10 – 15 minutes until lightly browned on top. Serve immediately plain or with butter or jam. 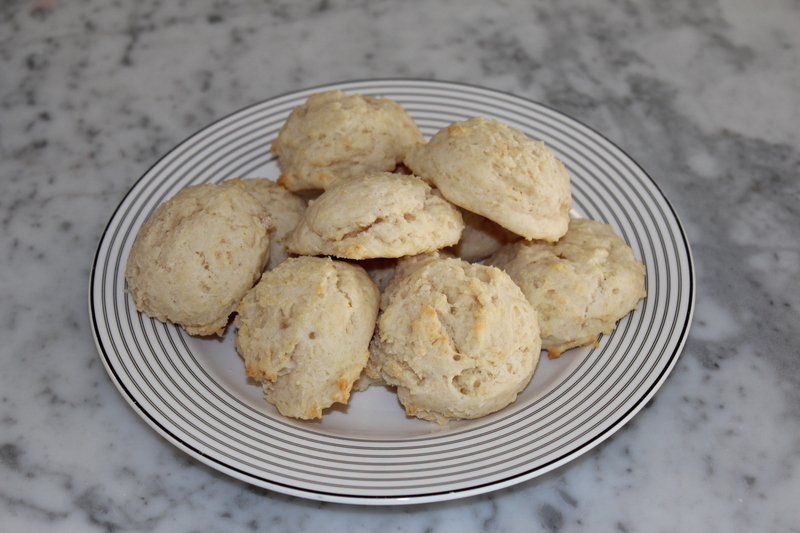 This entry was posted in Breakfast, Entertaining, Recipes and tagged America's test kitchen, baking, biscuit, scone, tools by organizedohana. Bookmark the permalink. These look really good! Can’t wait to try them! I need more of a tutorial to understand how the scale can be used to save time. I don’t see weights in the recipe, except for the cream and flour, and are liquid ounces the same as weight ounces? No comprendo. Janine, that is such a great question I will do a post about it this week!!! 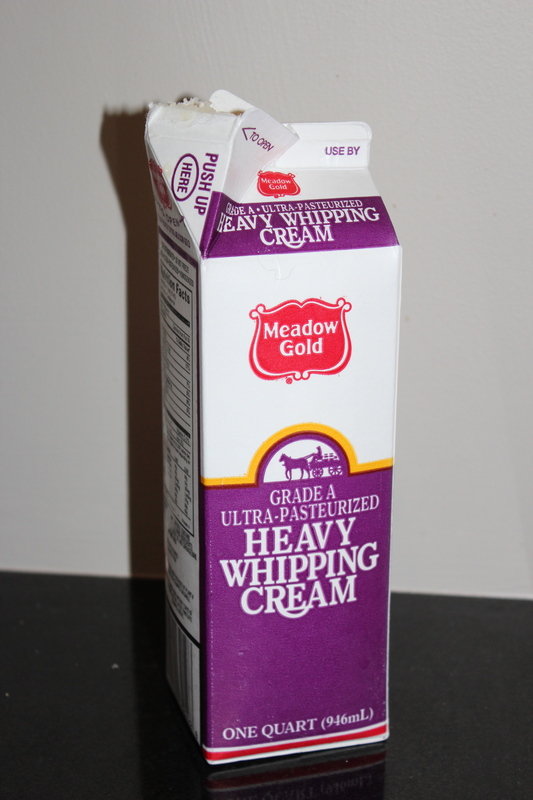 But basically, liquid ounces are the same as weight for water, milk and cream. “A pint is a pound the world around”. I’m sure some high density liquids might weigh more, but in general that saying works for me. 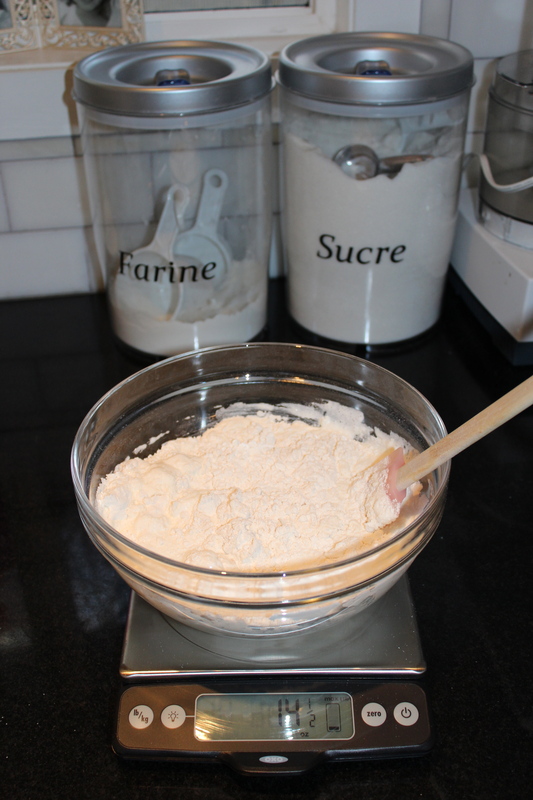 Dry item weights vary greatly, since 1 cup of all purpose flour is about 5 oz, while 1 cup of granulated sugar is 7 oz. Thanks for reading.